We also recreated our catalog. Download or request a catalog. For over 25 years, we’ve been producing top-quality American-made campground and park products as a family business. 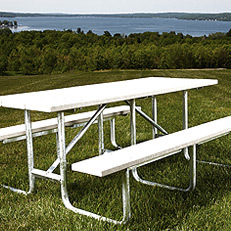 In addition to our park, recreation and campground equipment, we offer custom sheet and plate fabrications, and electro-static powder coating services. Fast shipping for orders of all sizes. Request our newly designed catalog. 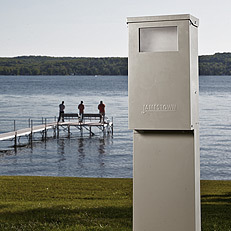 Durable power outlets made for accessibility in outdoor spaces. 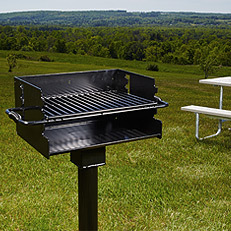 Heavy-duty steel grills, available in sizes suitable for any park or campsite. Weather and wear-resistant fire rings keep fires contained, available in multiple sizes. 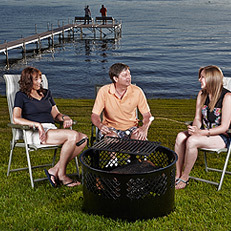 Multiple sizes and styles, including ADA-accessible designs, which fit any outdoor space.